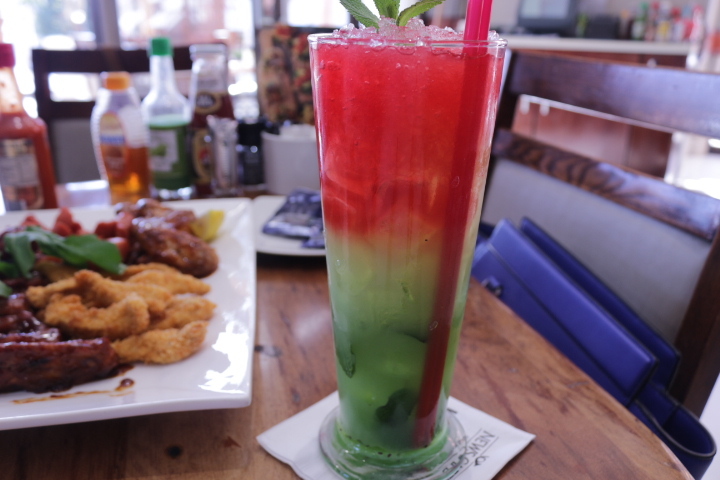 News Cafe Rivonia Review – Lamb Loves Thyme.. 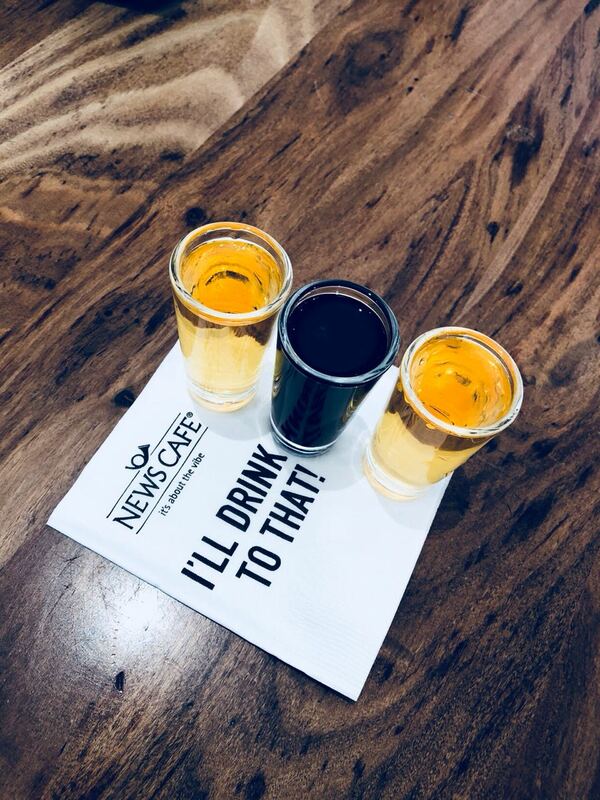 So earlier this week, I went to the News Cafe in Rivonia to meet a friend for lunch and drinks, and I’m excited to tell you my experience of the place. I got there a bit after my friend, who was enjoying a pot of piping hot tea. I ordered a passion fruit and lemonade out of modesty, and it was so quick to be served. 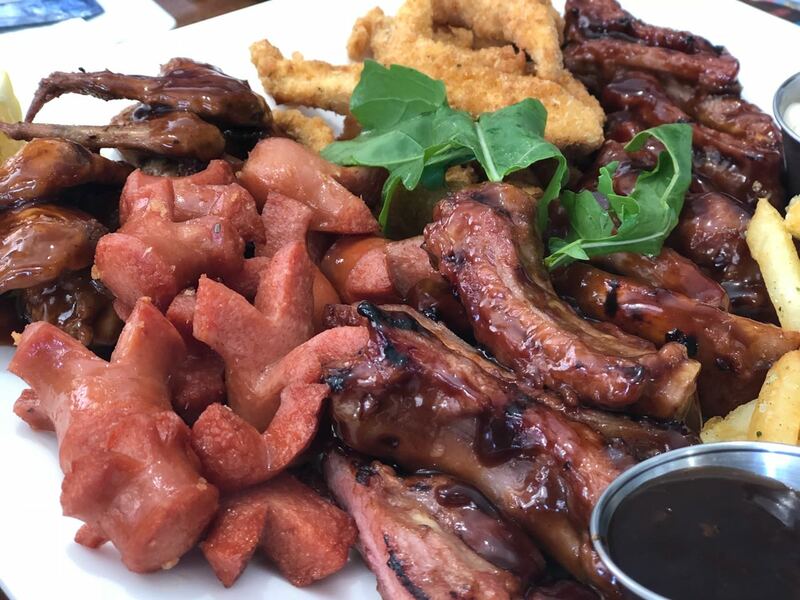 We decided to order a platter to share and I kid you not, it did not take longer than 15 minutes to prepare and the food was incredible!! The chicken strips had the best panko crumbing and the ribs sooo juicy!! I’m salivating just thinking about it! 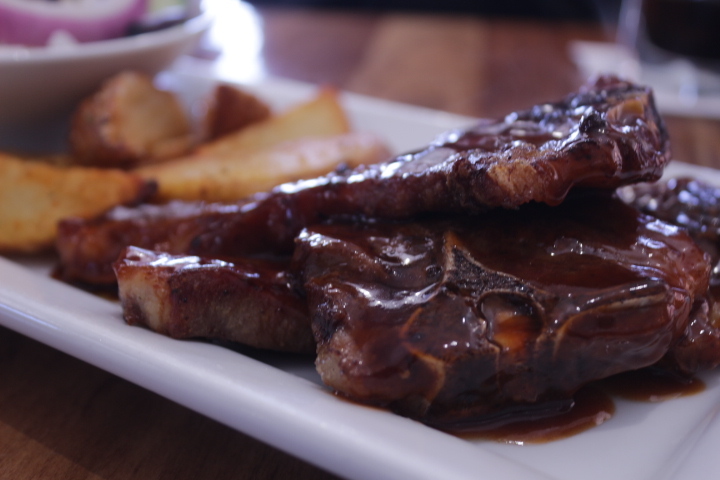 Another friend joined us a bit later and he had the lamb chops with potato wedges and salad. 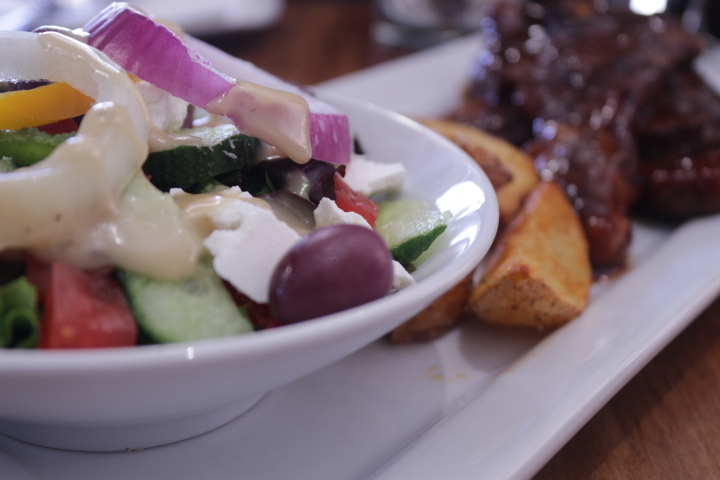 The chops were cooked to perfection and the salad fresh and crisp! Everything coming out of that kitchen looked amazing to be honest! Props to the chef and his team! The entire staff was so gracious and attended to us with the best service I’ve ever received. Our waitress Phatheka was wonderful in explaining what dishes had what, and made such lovely conversation with us. The drinks are such wonderful value for money! They taste and look gorgeous! 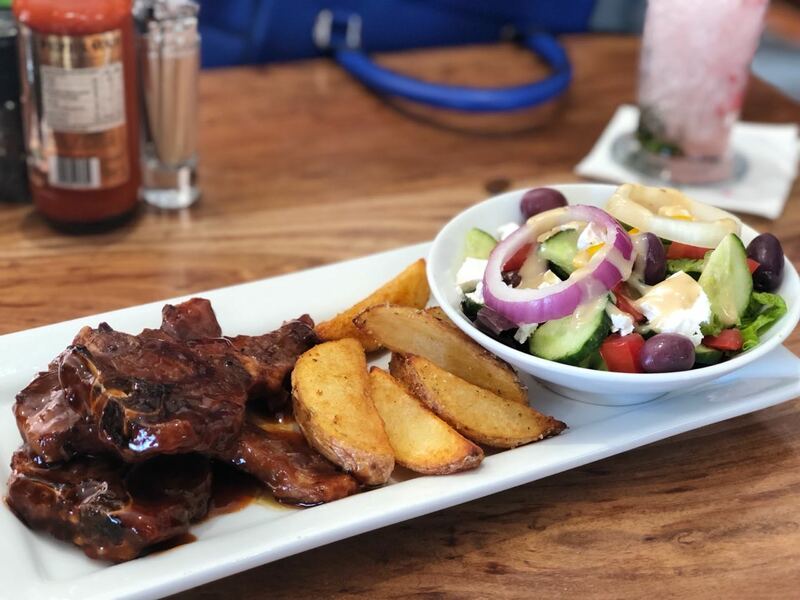 It’s a great spot for a catch up with the friends over lunch, as its nice and quiet during the day, and with deals like Soup Bowls for R60, you are sure to enjoy yourself! 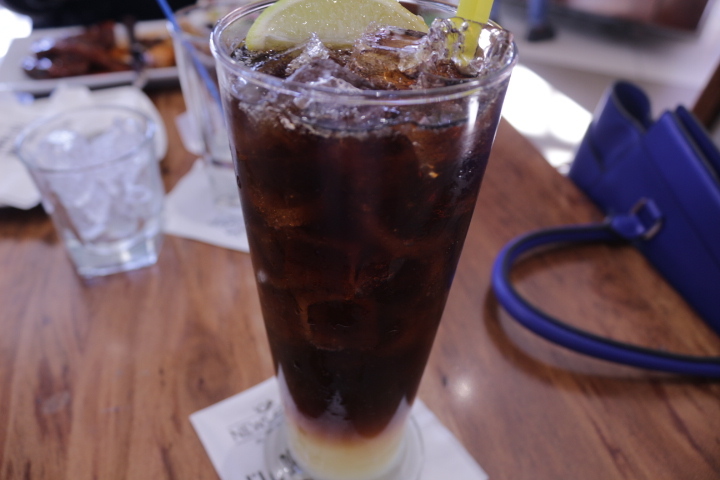 It’s also perfect for after work drinks while waiting out the traffic! They have an extensive selection of spirits and cocktails to try! With warm service and the incredible food, I certainly will be making my way back there soon! P.S it’s located at Rivonia Square, Rivonia Blvd and 9th ave, Sandton. Wow…your description of this place I just want to go there!! !